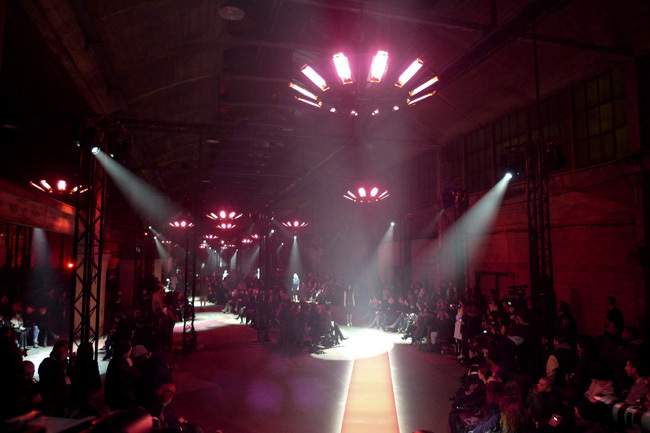 That was a good old Margiela-show: held in an empty industrial complex, seated in second hand chairs, drinking cheap wine and watching a collection with all the elements Margiela is known for. Mixing expectations, menswear and womenswear, exaggeration and extreme tailoring. 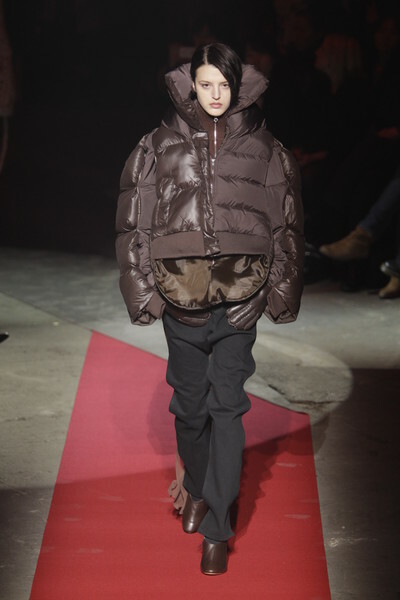 The pressrelease called it A new definition of the men’s wardrobe’ and ‘Menswear morphs into womenswear’. The result was a pretty sophisticated collection, with precise cut and impeccable finishing. Sleeves of perfect cut jackets were blown up, waistlines of skirts and pants were floating as if the model had no waist and hips. Instead it gave her the straight silhouette of a man. Silk chiffon layers suggested lightness and distinction, especially when worn with rough knitted wool cardigans or big furry jackets and hats. Typical men’s artefacts were blown up to become women’s jewellery: cufflinks turned into bracelets and rings, watchbands became maxi-belts, keyrings changed into necklaces. And the famous white Margiela box morphed into a new clutch-box. 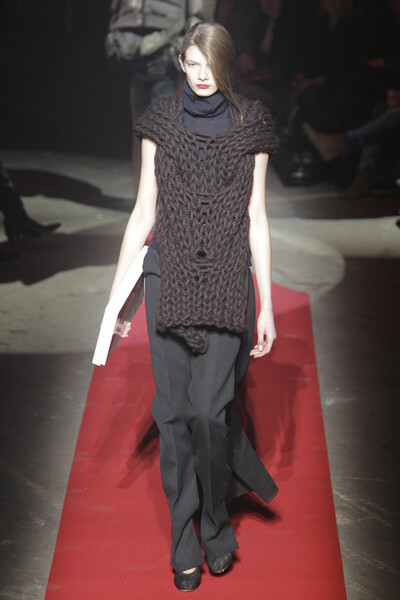 It was good to see the team behind the Maison is back on the track after the designer Martin Margiela left. Although the concept of the show looked familiar. Let’s hope they will get ahead of us soon.